● Valledoro presents Maori, the new broccoli "to be filmed". The Valledoro farm of Castellaneta Marina (Taranto - Italy) is a reference reality for the production of brassicas in the autumn-winter period, in particular of cauliflowers (which grows on a surface of 140 hectares transplanted from mid-August to late October) , Roman cauliflowers (200 thousand plants) and, in smaller quantities orange and violet. Other brassicas are cabbages (10 ha transplanted from 20 August to 15 September), broccoli with single head (15 ha transplanted from late August to late October), kohlrabi (10 ha transplanted from late September to December) and 50 thousand plants of purple kohlrabi. During the summer, the company's production is completed with midi and mini-watermelons and table grapes. 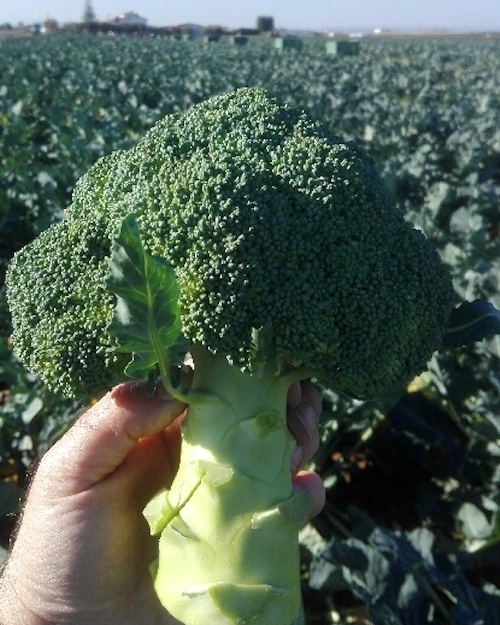 The collection of Maori broccoli, the new Cora Seeds variety that replaces the traditional Moycan, began on December 3rd. "We have chosed it for some better characteristics that it has than the previous one, which concerns in the darker color of the corymb, the greater size both in diameter and weight and the sturdier stem - explains Fabio Gravina, an agronomist from the company from Puglia - All this translates into the greater weight of each flower head ". 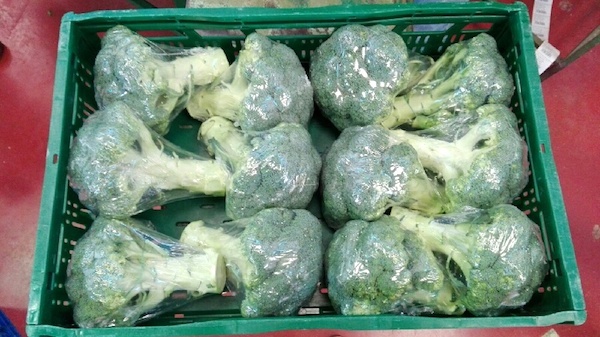 "But the new variety has also a round, domed corymb, which limits the accumulation of moisture, and individual inflorescences that remain tightly closed, allowing the broccoli to preserve the initial freshness for longer. Excellent the post-harvest shelf life and, therefore, in the cold store ". The Valledoro company has two experimental fields and two stations that allow the detection of the main weather data. "In this way - explains the technician - we can rationalize treatments to control pathogen attacks and also program collections for three-week cycles and the percentage of the cuts, in order to exploiting both the acquired data and the weather forecast. In this way our customers can also be informed in advance about the productions available to plan sales. We can say that it is the producer who suggests promotions, for the benefit of prices and continuity of supplies. In short, it requires planning, consistency and professionalism both from producers and Gdo ". The marketing period goes from early November to mid-April, the main destinations of Valledoro brassicas are Germany, Poland, the Czech Republic, Slovakia and Hungary. The product is packaged in plastic, wood or carton boxes according to customer needs. Each broccoli is filmed by machine (flowpack): each head must weigh at least 500 grams and each package (box) contains ten of them; the cauliflowers, on the other hand, are filmed by hand and packaged in boxes, both from six and eight pieces; in the six pieces the size of the head goes from 15 to 18 cm, while in the 8 pieces from 13 to 16 cm; some customers require ten kilos (sometimes filmed) cassettes. The Romanesco cabbage is processed in packs of eight pieces only. The cabbage is packaged in boxes of six to ten pieces. The kohlrabi, finally, is packaged in boxes of eight, 15 or 25 pieces.